Now for some Miles ago maybe 1K I have been hearing this Clicking Noise every time I turn my A/C Knob dial from Full Heat (Cold Mornings) to Cold (Below 75°F), And It wont stop until I turn the dial Again to Hot. The bad guy Here is the A/C Air Mix Motor. This little fella can be found exactly below the Glove Box in the Passenger foot Area just in Front of the ECU. 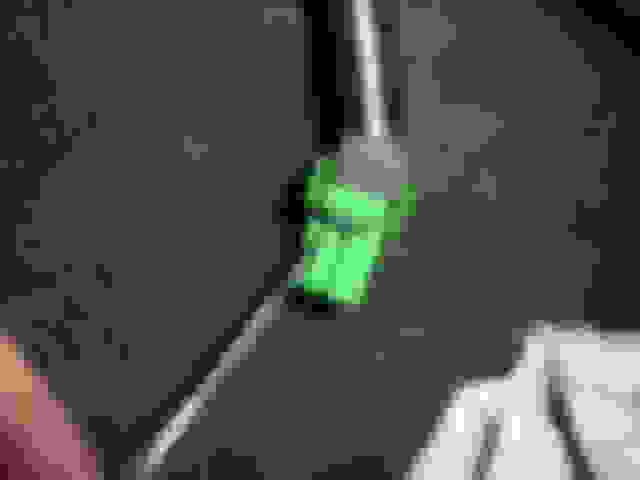 You should locate it easily by the Green Conector it has. Now theres little to NO ROOM to get this sucker out without having to remove the floor carpet corner (The one that goes below the A/C Vent Tube) luckily this corner isnt glued just take it out this will leave somewhat room to work with. The Manual Calls to Remove the Motor + Metal Bracket by Unscrewing the 3 Screws that hold everything, Once your under there and see it in Person you should notice this is almost impossible without removing the whole damn thing out of the dash. 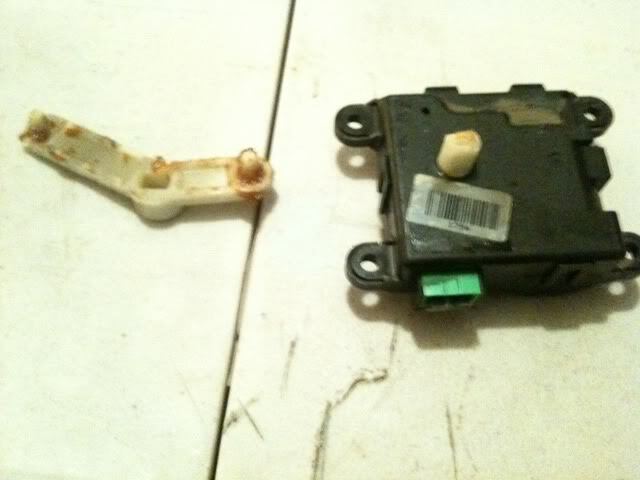 There are 3 Screws holding the motor to a Metal bracket you dont need to remove the metal bracket and You maybe just CANT becouse theres absolubtly No room to fit a wrench at the sides of the motor just unscrew the 3 bolts holding the motor to the metal bracket. The green connector should have a Security TAB this little tab can be pushed out with a Flat Mini Screwdriver. 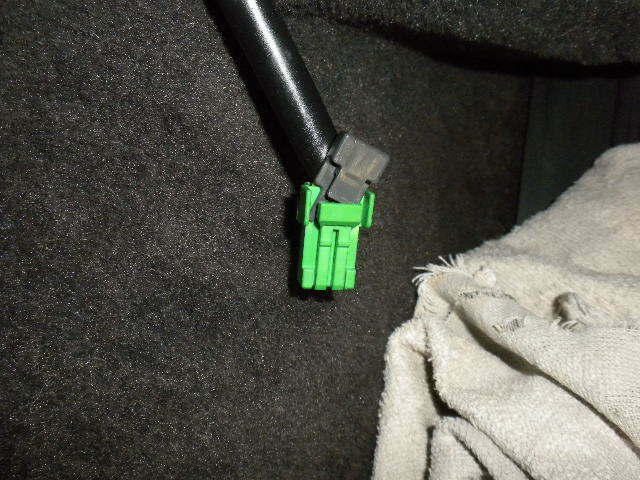 Now the GREEN little tabs are what holds the Motor Case together there´s no Screws here just try to pry them without breaking them. (I broke them all since the Holding Screws hold it together As well, Try no to do this Anyway). It should come out easily. 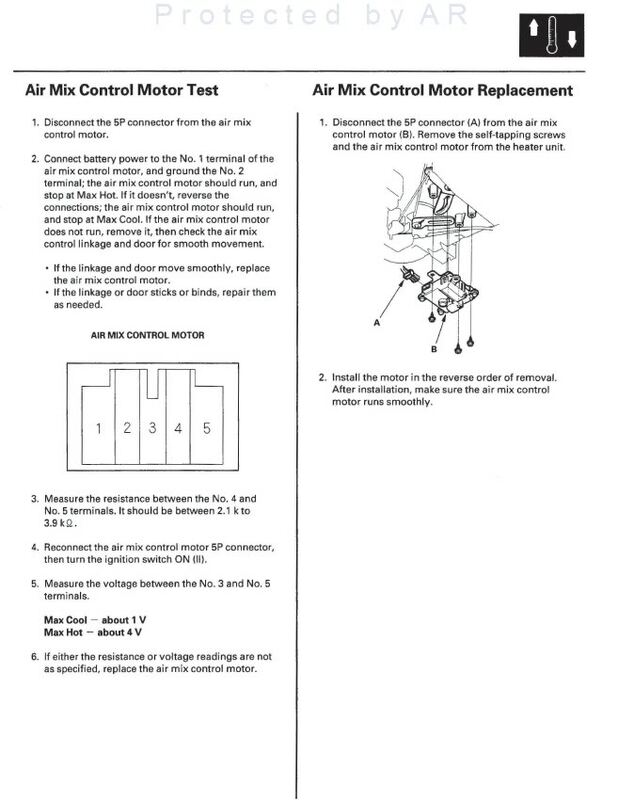 Congrats if you do it Properly you should have Succesfully Repaired your Air Mix Motor and Should be Clicking Noise Free! Well at least I Am! Thanks to "Karanx7" for Giving me the Instructions and the Courage to do It..
Last edited by Skirmich; 02-23-2012 at 10:01 AM. 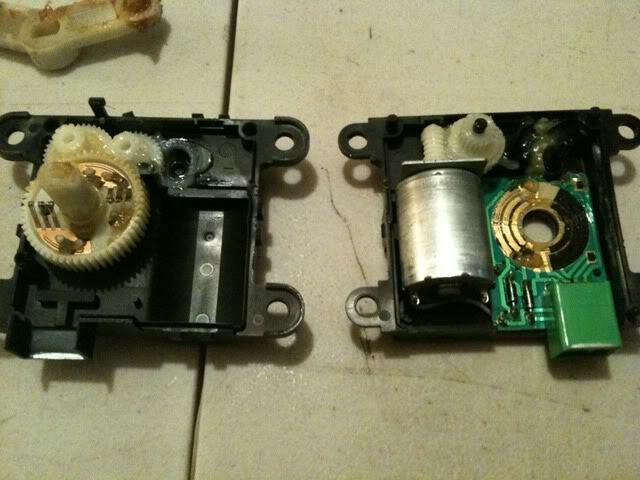 When I replaced mine I had no clicking at all (no motor running either). I had to push up on the bottom of the gear that sticks out of the bottom of the case to get the motor to start; I think I had a dead spot on the armature or the brushes were shot. To remove the mix motor I at first removed the bracket it was attached to; I didn't need to mess with the carpet expect to push at it to make room. sweet nice write up, thanks. Does anyone know how to repair the mechanism that mixes air for the foot well, face, window defogger, and inside circulation? Mine makes weird noises, and air flows from the both foot well and face all the time, and barely comes out of the windows defogger, no matter what setting its on. Very well written write up. It should go in the DIY list. PM Kris to put it on there. I'm having the same exact problem. I dont even care to "fix" it, I would be happy if it just blew through the wind shield defrost all the time. Foggy mornings are a pain in the @$$. Hi thanks for all the Inputs! 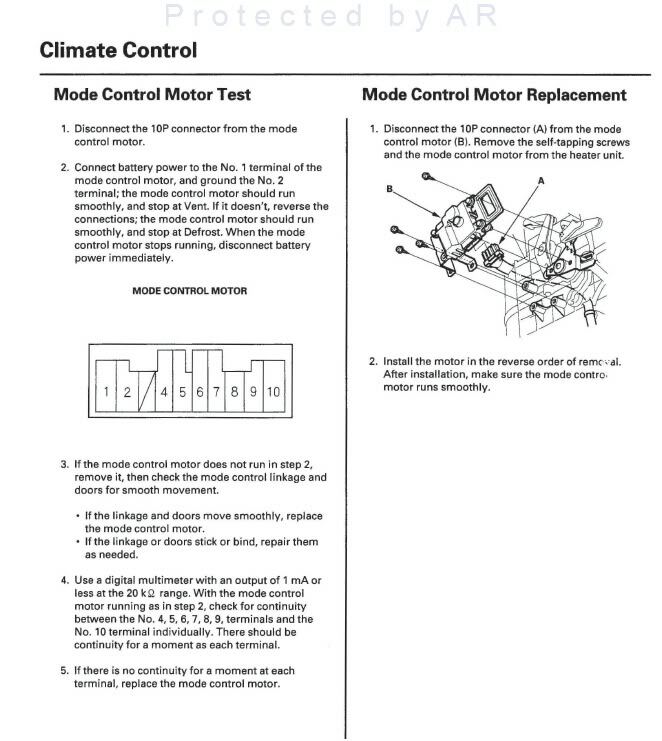 About the Motor thats switches the Vent Direction I think it is like this motor. It is located in the Foot area of the Driver side you need to take out the panel that covers the Stereo Bolts, Once removed follow the metal Bracket that Hold the Stereo. Just behind the metal bracket you should notice that little sucker its for most part identical to the Air mix one. Hope that helps you out buds! Thank you very much Skirmich, I will take a look at that soon. my windows keep fogging up when it rains since that doesnt move, hope i can fix it now. Just to say the Repair is still working fine and I did ended up Spraying some WD-40 into the Heat Line link and it seems the Motor now runs a little quieter perhaps it was a little stuck thats what maybe stripped the Gear. Im sorry if im slow so what was wrong? The Gear as Installed rotates in a 180° so it wont make a 360° Turn, To Fix it then Just Turn the Gear the other way and Vuala! Fixed . Thanks. Awesome writeup and pics! No Problem Bud but Karanx7 is the Hero Here! Great write up. My motor runs smoothly now, but now for the re-install. Do you remember which arm controls what? 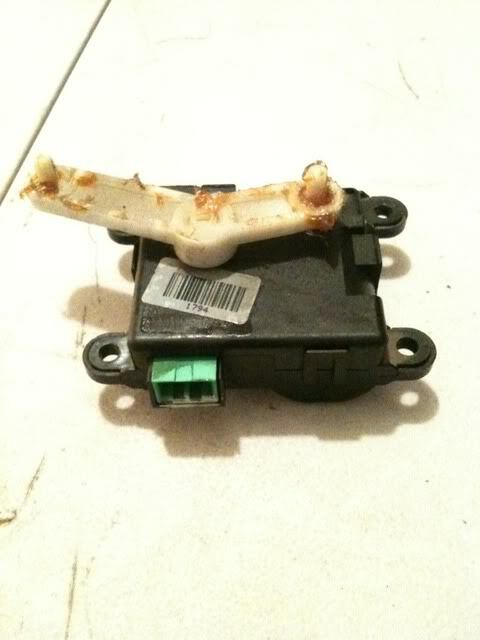 Does the long arm go to the heater valve control or to the damper? 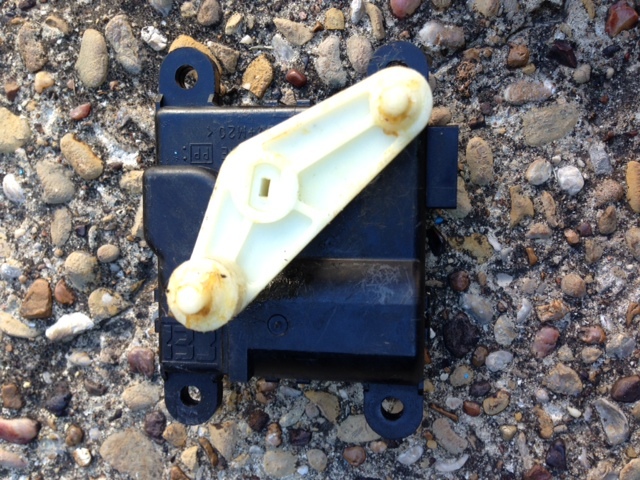 Any advice on lubricating the heater valve and the plastic linkage? 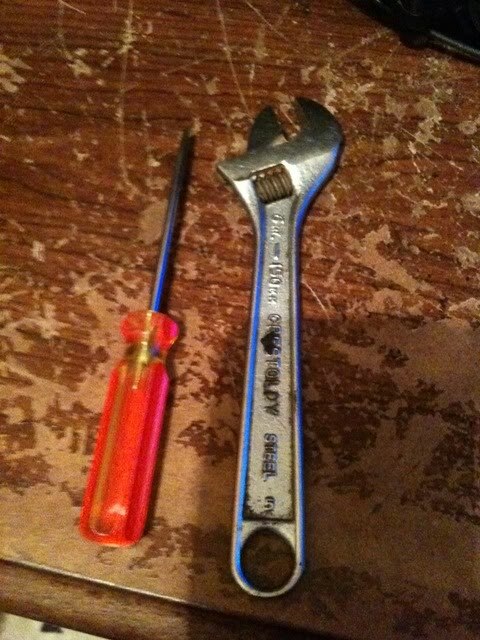 Would WD40 work well enough, or do I need to go for oil or silicone? Yeah try to spray as much WD40 to the heater valve rod and cycle it a few times so it penetrates good enough! Last edited by Skirmich; 09-05-2013 at 12:33 AM. So I made the mistake of not knowing the position this was in when I took it out. Now I can't get the arm to match up to install it right. Any advice or tips? ^ The arm should self position with the brushes.. it isn't going to be installed 100% in the same position anyway! Once the motor starts running it will aim the arm in the right way..
Now if the arm is completely looking the other way now that's an issue... 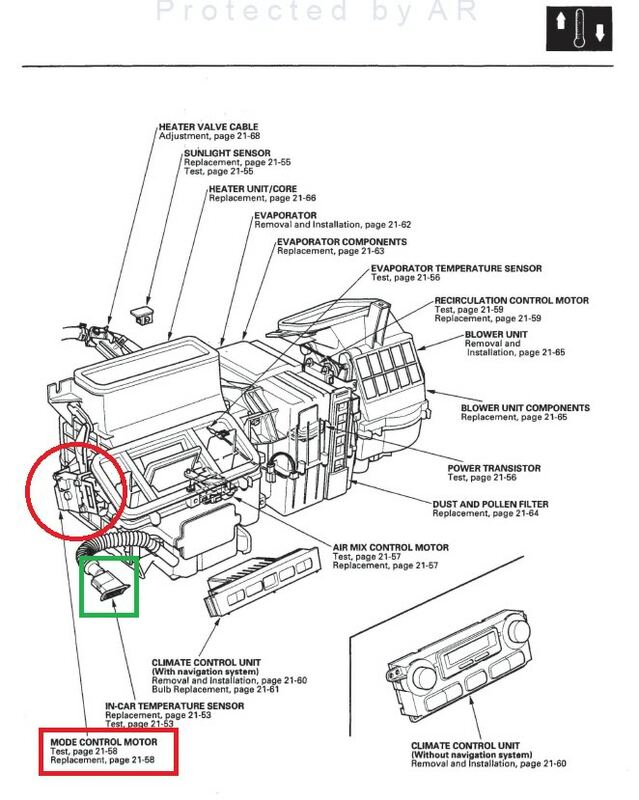 The arm should be pointing the same direction you remove it since it doesn't completely rotates so if you install it 180° (Instead of left to the right) then you have to remove the motor and install it again..
See the motor plug position (Green) and the gear sits horizontal to it... 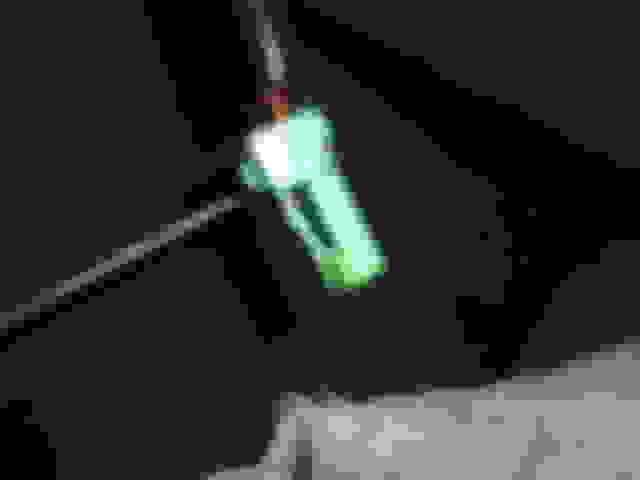 The big arm should be left to the plug and the little arm right of the plug! not the other way around. Last edited by Skirmich; 10-19-2013 at 03:31 PM. So I didn't take apart the motor at all. I go the air mix motor error so I removed the motor box, tested it on the battery (saw that it worked) and then planned to re-install. That's where I'm having the issue now. I can't seem to get the points of the arm lined up at all. Did you test it both ways? if the lever is under no pressure it will turn super smooth and without an issue! but once its under load it will make the clicks.. You already have it removed why don't see it inside to make sure the gear isn't broken? You have an 05 TL...? Ah, just realized this was a 2G thread. I assume same for the 3G, but just slightly different part? Ohh OK! You got a 3G... 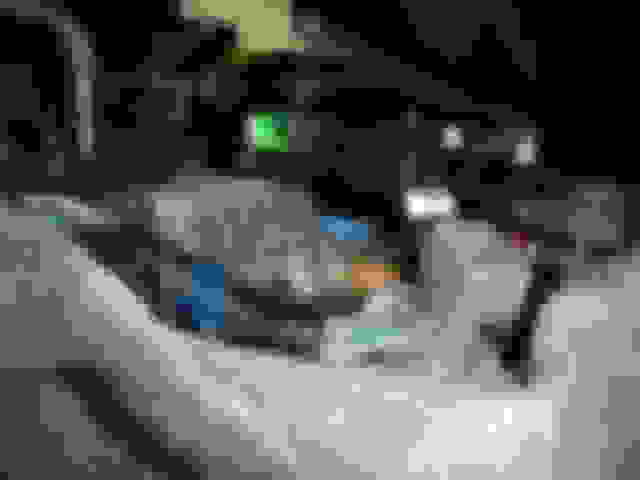 The part is different just by the ARM.. but I dont have a picture of the original position of those :S you didnt take any pics when you remove it? 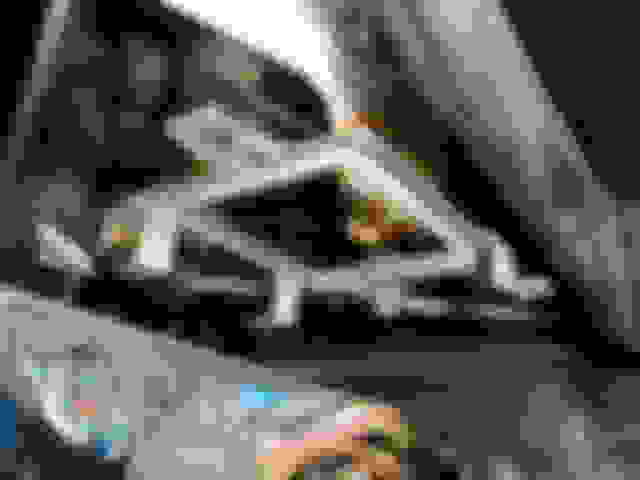 No, took pics of everything else, but of course not that. Doh! So I put it all back together and turned my car back on. The air was cold and then I turned the heat up and both sides started blowing out warm air. I then turned the air back down to cold and the passenger side got cold but the drivers side stayed warm. So the driver air mix motor worked for moment, but is apparently stuck again. Any ideas? I don't think so.. 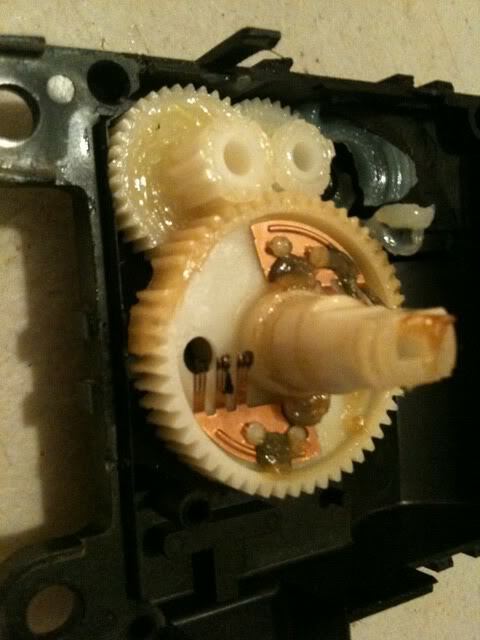 Try to cycle it again and see if you can get full Warm again and then having cold/warm..
Bear in Mind the 3G got Dual Front Zones while the 2G didn't so you may have a different problem..
Did the gear was broken when you opened the motor? I did cycle it a few times and the drivers side just stayed warm. The motor worked fine when I hooked it up to the battery before re-installing it. With the winter's cold weather, my air mix motor recently started clicking .....along with poor air flow. Thanks to Skirmich's DIY, all's back to normal !!! 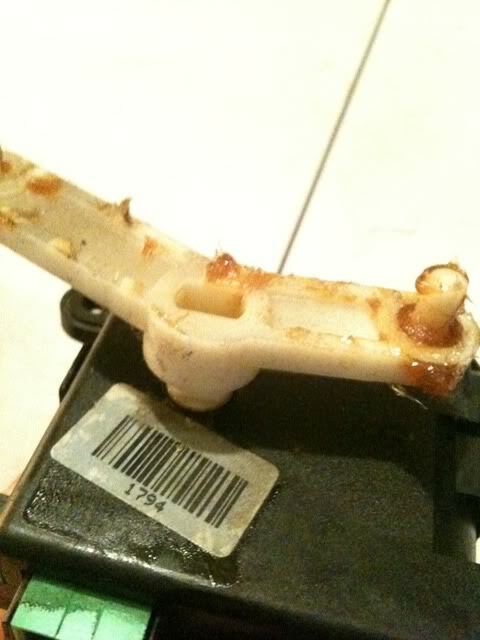 The heater valve (or what you call water valve) is controlled by the air mix motor... When going half way through the dial to the right it starts to open but when it's 70* or Minus 70* it's shut all the time... If the valve isn't closing there is an issue with the valve or the motor. Thanks, that is what I thought. I could push the air mix motor and the heater valve closed. i am going to change the air mix motor, as soon as i find one. Thanks again. I am wondering what the noise really sounds like? I don't have a clicking it is more of a crackling noise from the passenger side. it sounds like it is coming from the airbag. did yours sound similar? 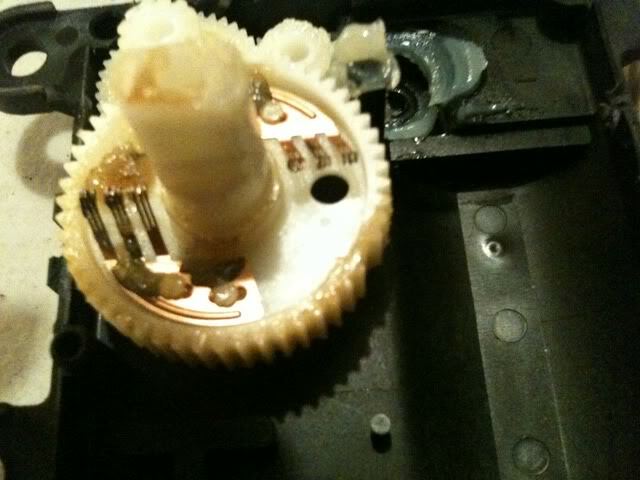 It sound like a broken plastic gear... Can't be very specific but the symptoms are that there isn't cold/hot coming when you dial it from full Cold to full Heat.. You will hear a motor moving and then the dreaded click click click. Try to do this with the engine off just put your key in position II (dash lights up) but don't start the car. 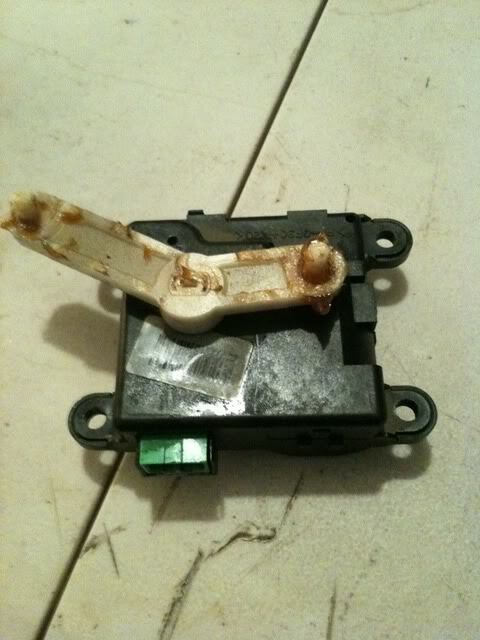 Turn your AC ON and dial from full cold to full heat, if you hear the clicks while doing it you have a bad air mix motor. The crackling noise could be dry leaves etc in your cabin air filters, Just a thought. Firstly, thank you Skirmich for the write-up, most helpful. I will add some details on removal that may help those less familiar. Unplug the gray plugs from the control(?) box to get the wiring harnesses out of the way for easier access to the mix motor mount screws. I was then able to use an 8mm socket on 1/4 in. drive on those screws. 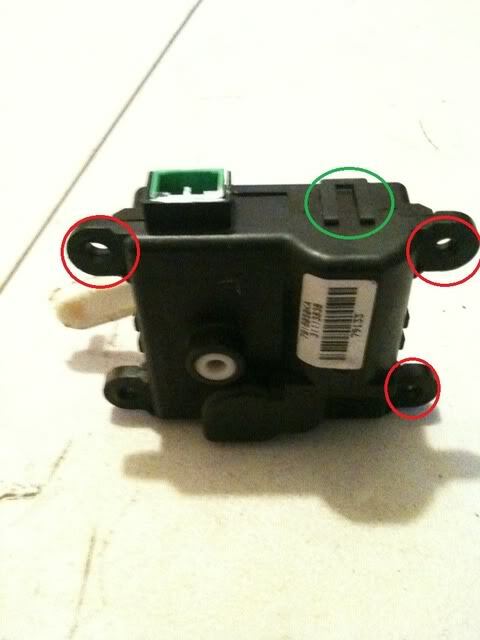 I also found it easier to get the motor out by taking out the near bracket screw and loosening the far one (see pic). This made it easier to get the drive arm pins out of the slots in the driven lever arms. The power plug for the mix motor has a keeper for the squeeze lock that must be removed to unlock the plug. There is a tongue on the keeper that is depressed to release the keeper, which can then be pulled out. And then the plug lock can be squeezed to pull out the plug. I waited to unplug this after I got the motor loose.